If you’re like me, you have a lot of music on your phone. For me the music has so many purposes – I have playlists for when I’m working out, for traveling, for my kids, and for parties. 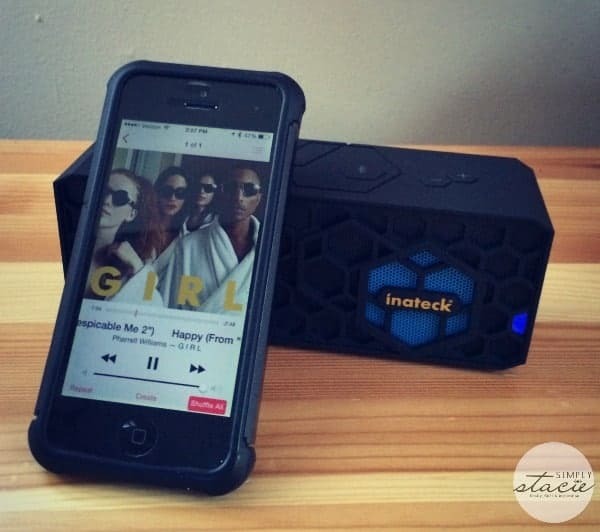 The magic of Bluetooth lets me share all the music I store, and I have a wonderful new portal to play and share my music courtesy of Inateck and their Bluetooth Mini HiFi Speaker. 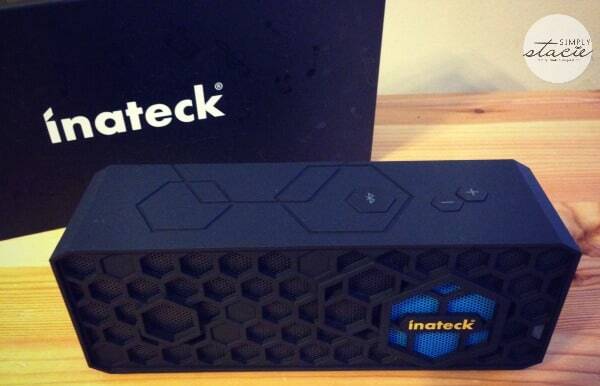 Inateck is a company based in Germany that provides all kinds of technology that keeps you running – from travel wall chargers to Bluetooth speakers, USB hubs to docking stations. 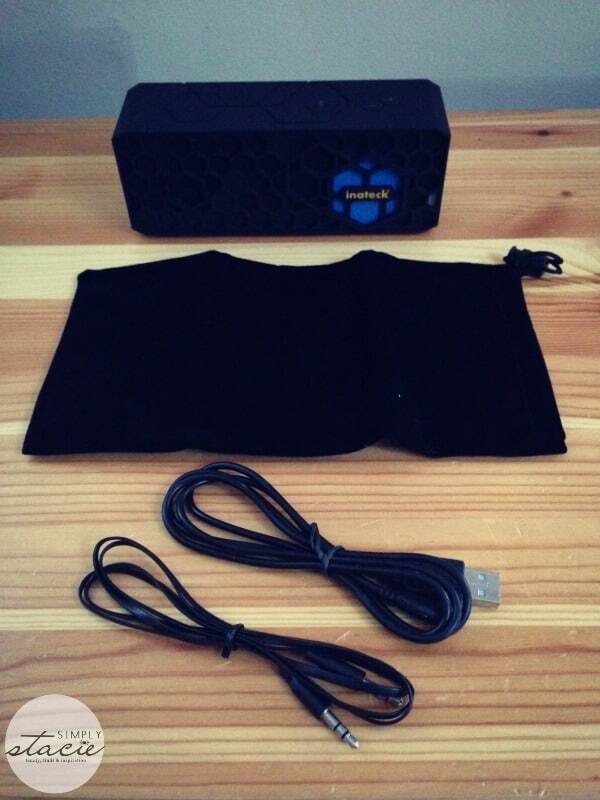 The Bluetooth Mini HiFi Speaker that they sent me for review arrived just in time to help cure some cabin fever we’ve been experiencing with these cold temps in New York. I promised my boys we’d have a dance party once I had it up and running, and I was able to deliver on that promise just minutes after opening the box! My phone’s Bluetooth function was easily able to find the speaker and connected instantly. Then I simply controlled the music and volume from my phone (there are also controls on the speaker). The sound quality is fantastic – even at the highest volume level, where I find a lot of speakers tend to lose clarity. Beyond the great performance of this piece, I also love the aesthetic of it. It’s got a sleek rugged look, and is the perfect size for traveling. It comes with a soft travel bag that makes it easy to pop in to an overnight bag, back pack, or purse. It also comes with a charging cable and an audio cable should you need it. This speaker also features a built in microphone for telephone calls – making conference calls a breeze whether in your office or on the road. In addition to getting one for yourself, pick one up for the tech and music lover in your life for Valentine’s Day, a birthday, graduation, or any other special occasion. To see all that Inateck has to offer, visit their website. Join the #LiveCleanBaby Twitter Party on Feb 10th! I like the Inateck 1-Port 12W USB Travel Wall Charger. The USB 3.0 HUB with Power Supply also interests me. 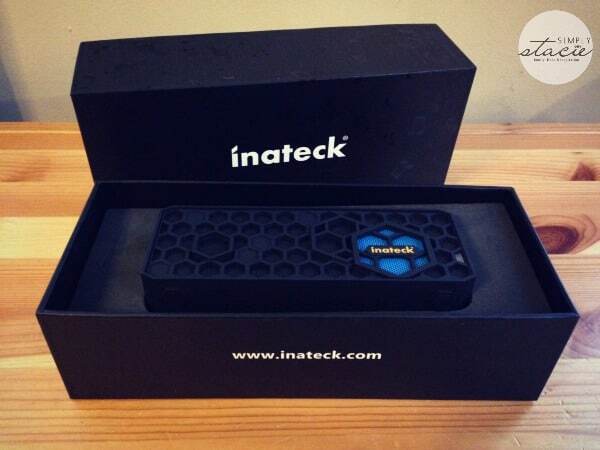 The Inateck 5-Port 35W USB Family-Sized Desktop Charger looks very useful! I like the FD1003 Docking Station. I like the HB7003! Always need plugs!